I couldn’t let it go. Scatter graphs and correlations weren’t enough. The Roth spreadsheet has remained open on my desktop, a frustrating distraction in a busy week, but I had to see if I could further untangle the intricate relationship between bike and run. At first I picked at it, a minute here or there, eventually it consumed me and a couple of hours were lost constructing formulas to apply a better test of the influence of bike performance on the marathon. So after all that effort can I definitively say that a faster bike leads to a slower run, or did I waste my time? No. Unfortunately I don’t feel any closer to proving that statement, but any process that produces data – and graphs – that expose the relationship is worthwhile. At least for me. 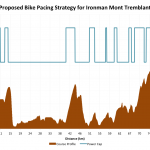 The analysis itself remains an interesting distraction, it’s unlikely to change opinions on the pacing of an Ironman, but it does point towards a faster bike typically combining with a slower run. I can’t claim the idea behind this approach (thanks Dave), only the implementation. The starting point was to consider just the slowest runners among athletes finishing faster than 12 hours, taking that as an arbitrary mark of Ironman fitness, and compare their bike times with the average bike time of all the athletes finishing under 12 hours. If, as a group, the slower runners have faster than average bikes then – perhaps – it’s a sign that slower runners are biking too hard. 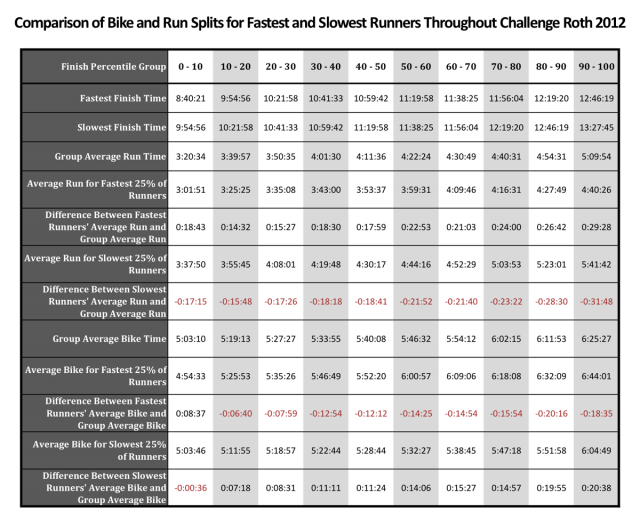 I decided to group the finishers by relative position into 10% brackets, then, within those groups, compare the overall averages for bike and run with the averages for the fastest and slowest runners. 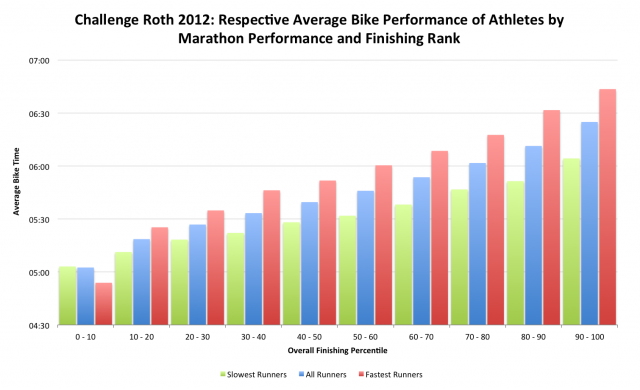 Sure enough, with the exception of the top 10% of finishers, skewed by the presence of the pros, the slowest runners in each finishing group are also on average the faster bikers. To balance it out the fastest runners, again with the exception of the top 10%, on average have slower bikes than those finishing at a similar level. But of course we’d expect this: to remain within a finishing group if you ride faster, you have to have run slower. The relationship remains elusive. 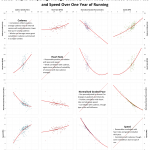 It’s impossible to quantify, but considering the balance between the two, of the slower runners the degree to which they run slower than the whole group is greater than the degree to which they bike faster. Perhaps, I emphasise perhaps, some of them would have been better served holding back on the bike, because if, again I emphasise if, riding the average bike had led to them running the average run, they would have raced faster. Of course it’s common lore amongst Ironman triathletes: bike too hard, blow up on the run. But examining the data I feel that the complete detonation may be overplayed; a total meltdown is a possibility, but perhaps less frequently than imagined. As I’m already ranging into anecdotal territory let me continue. Looking at numerous power files, often major pacing errors during a race start to show on the bike; I’ve seen many files with noticeable drop off in the final hours. The overall result is a slower bike and then a slower run, which pushes an athlete further back in the results; such a race wouldn’t necessarily appear as a classic bike too hard, run too slow scenario. There are lots of ways to make mistakes in an Ironman, there are many opportunities to recover, and the relationship of bike and run is too complex to respond to simple analysis. Considering these limitations is only fair. There is a relationship between bike, run and finish time such that within any small grouping we will tend to see faster bikes with slower runs and vice versa. I’ve progressed no further than hinting at correlation, demonstrating causation is another matter. 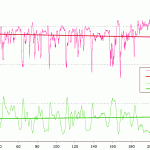 The fundamental problem is that times are a poor indication of effort, or potential effort when correctly paced, and what I’m really trying to test is the extent to which individuals who over exert themselves on the bike under perform on the run. A single results set says nothing about how an athlete compared to their potential. I remain frustratingly distracted by the data. Do I accept I’ve taken it as far as I can or pursue another idea? Roth data contains splits, I could examine the relationship between the first half of the bike and run performance, perhaps then focussing more on the point when errors are predominantly made. 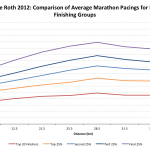 Or, take a new direction and examine the run splits, I could look at the development of the marathon across the entire field, how does pace tend to decline? I sense more unsolvable problems. These continued attempts to validate Ironman lore may not yield conclusive proof, but they do highlight areas we need to address within our training.